For more than three decades, family owned Metabolic Maintenance has produced pure high quality nutritional products that support optimal health, longevity, and improved quality of life. These preservative and excipient free science-based formulas are manufactured according to strict manufacturing practices in a state-of-the-art cGMP facility located in central Oregon. Ethically sourced raw materials, selected based on purity, quality, freshness, bioavailability, and optimum potency, are purchased from trusted suppliers who must meet rigorous testing and quality criteria. All raw ingredients are third party tested for identification, contaminants, microorganisms, and heavy metals by certified independent laboratories. 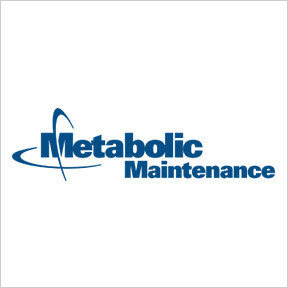 Metabolic Maintenance superior quality formulas are free of preservatives, fillers, excipients, and contaminants. All products are Non-GMO, and are gluten, lactose, and artificial ingredient free. B-Complex: Formulated for superior absorption, this complete B vitamin formula provides the phosphorylated forms of B2 and B6, and the highly bioavailable methylated forms of B12 and L-methylfolate in support of cellular energy production, cardiovascular health, neurotransmitter and red blood cell formation, homocysteine conversion, and nerve cell health. B.A.M. Balanced Amino Acid Maintenance: Formulated as an adjunct for the support of neuro-cognitive function, muscle building, and enhanced energy production, this free-form amino acid formula can be readily absorbed and utilized by the body. Additional precursors are included for optimal utilization. Vitamin/Mineral Base Powder: For those who prefer their daily vitamins and minerals in powdered form, this tasteless, easily dissolvable formula provides balanced amounts of key nutrients in their most bioavailable forms. Anxiety Control®: This unique calming product contains therapeutic levels of GABA, glycine, L- glutamine, magnesium, and botanicals in support of a relaxed sense of wellbeing. BackPack®: This product supplies nutritional support for the back and joints with ingredients that support normal joint flexibility, a healthy inflammatory response, and the maintenance of joint structure, function and comfort. Little One: This one-a-day multivitamin/mineral formula is specifically created to meet the nutritional needs of children aged 6 to 12 years. Each very small preservative-free vegetarian capsule contains only high quality bioavailable ingredients as listed on the label. This entry was posted in Home and tagged Anxiety Control, B Complex, B.A.M. Balanced Amino Acid Maintenance, BackPack, Little One, Metabolic Maintenance, Metabolic Maintenance – Featured Brand, Professional Supplement Center, Vitamin/Mineral Base Powder, Vitamins and supplements, www.professionalsupplementcenter.com. Bookmark the permalink.